Although the New Year is already off to its second month, it’s never too late to redecorate your home with the latest trend. Since people nowadays are more aware of the ways on how to utilize outdoor spaces in more ways than one, remodeling and transforming your patio is now becoming a norm. Gone are the days where only the indoors are the only ones who get regular pampering. With the increase in demand when it comes to outdoor decors and designs, expect more homes to have gorgeous outdoor spaces that are not only eye pleasers, but also offer a lot of function to their homeowners. How to transform your patio into a beautiful and functional haven. 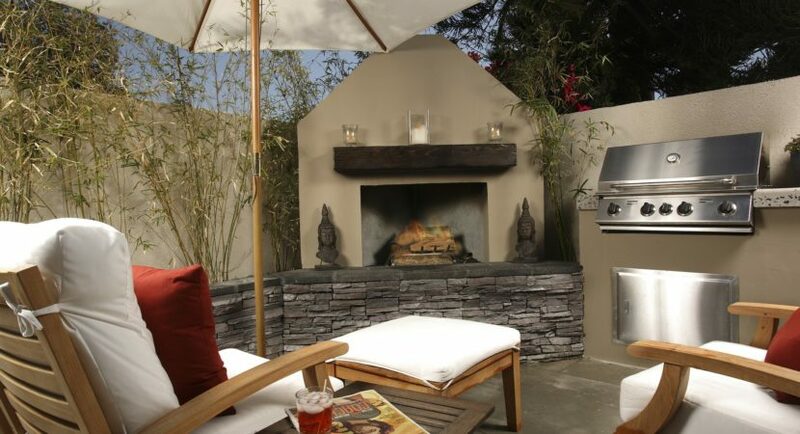 Fire pits will be among the favored outdoor trend in 2019. Fire pits are an excellent tool for the get-together and now comes in multiple designs you can choose from and enjoy. Some features of modern fire pits are portability, design, easy assembly and storage and durability. This stylish and trendy addition can also serve other functions like additional lighting, heat generator for cold nights adds character to your space and save electricity. The market now offers a wide range of fire pits at varying prices. Create outdoor rooms as an extension of your home. Outdoor kitchen, bars, and living rooms are just some part of the indoors that are making their way out. In outdoor kitchens, wine refrigerators are very much in demand. More presale items applicable to rooms placed outdoors are expected to rise in popularity. Property developers and designers are expected to keep up with this norm by installing more outdoor rooms during the planning and building stage. Install outdoor ceiling fans if you have a closed and shaded outdoor room. Lots of patio ceiling fans reinvented are now out in the market. These come in different types, shapes, and designs to accommodate your modern, contemporary or traditional patio. These cooling fixtures will not only give you an expanded living space in the comforts of the home’ outdoor area, but they also create a comfortable environment no matter the season. Enhance outdoor activities with a type of fixture that can give you a fresh and breezy atmosphere. Classic greeneries will make a comeback while cactus and succulents plants will stay in popularity. Succulents and cactus plants provide an architectural structure that easily creates ambiance in a garden that’s ready to impress. Although Blue Cactuses and Agave Americana are hard to find, it will be worth the hunt as these would be your signature plants for a modern outdoor space. As for the classics, sphere pruned plants are ready to take over. Since they are the type that can easily be mixed and matched, it’s safe to say these babies will look great in whatever garden style you may have. Showcase your DIY skills and use everyone’s favorite – glass bottles and mason jars for decoration. Fill them with plants and flowers for a refreshing and attractive look. Scatter some of your favorite lanterns or light a few candle lights for a romantic dinner. Are you into artisan crafts? Hand-made pieces are also a favorite this year, and you can use this by choosing hand woven mats, rugs, and mantels. Place bold and modern furniture for a homey vibe. Fully upholstered furniture is now available in the market giving you lots of varieties and options. No need to hold back, just decorate the way you would do in your living room as these furniture pieces are explicitly made to endure the conditions of the outdoors. Outdoor furniture is just as beautiful as your indoor ones, making them living room worthy. Sofa chairs in printed in colorful prints can instantly boost your mood. These paired with throw pillows in soft hues creates a dramatic look so inviting you’ll be compelled just to sit back and relax. Don’t forget to layer your patterns as this can increase aesthetics of your home. Think of soft furnishings like throws and cushions that can help you sit back and relax during your stay in your patio. Add beautiful cushions, comfy throw pillows and gorgeous scatter in light and natural colors. Got friends and family who are always at your place? Floor cushions will not only give your patio an extra seating but will also give it a more laid back outdoor décor look. Add that extra pop of color with this year’s Pantone Color. You’ll get to see lots of people go crazy over this vibrant hue, be it on furniture, curtains, mats and rugs, textiles and the like. Redecorate your porch with flooring that is fashionable and smooth. Paint your floors to extend the life of your decking while giving it a nice, polished look. You can always repaint them when they are no longer presentable. If you’re into floor tiles, you can among many patterns and designs available. Complete the look with a reliable outdoor rug. Lighting fixtures are not only on the inside of your house but for your outdoors as well. Give your outdoor space an instant makeover by adding exterior lighting. Not only does it add extra curb appeal to your home, but it also adds extra security, so it’s best to treat it as a form of investment. Solar Landscape Lighting is now available in abundance as more and more people are turning to earth-friendly products which also involves lighting. Garden light accents, path lights, LED deck lights, pool deck lights, and spotlights are just some of the exterior lighting fixture that now comes in solar types. This trend is expected to last for a couple of years, so it’s best to look for long-lasting options. Recessed Deck Lighting is hot this year. To add a chic vibe to your outdoor space, invest in a long-lasting type of recessed deck lighting. This kind of lighting fixture looks great, provides just the right amount of landscape illumination and are the perfect lighting for hosting outdoor activities and events.